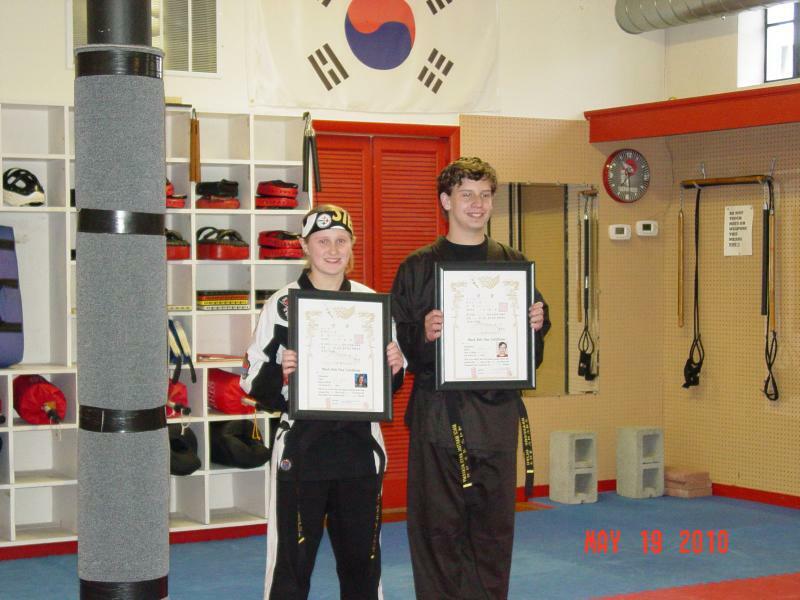 Bailey Anderson and Bradford Olivio recieve their 1st Degree Black Belt Certification from Korea. Head Instructor James Olewiler with summer T-shirt wearing childrens class. Top left to right Michael Nace, Robert Mccaddin, Levi Day, Bethany Johnson. Lower left to right: Sloane Young David Lewis III, and Noelle Peregoy.